Once more eBay has turned up another gem of rocketry history. This time in the form of a little brown box by Aurora. But what is it? Photos of the box contents and more information after the jump! 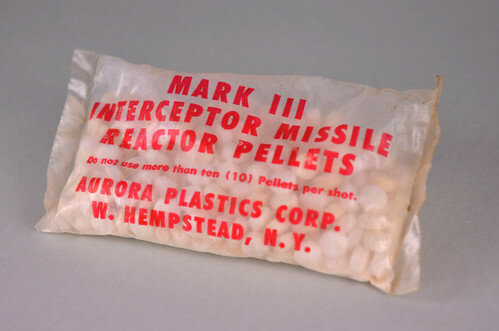 The ebay auction simply stated "Each box contains 2 packs of Mark III Interceptor Missile Concentrated Liquid Fuel and 1 pack of Mark III Interceptor Missile Reactor Pellets. 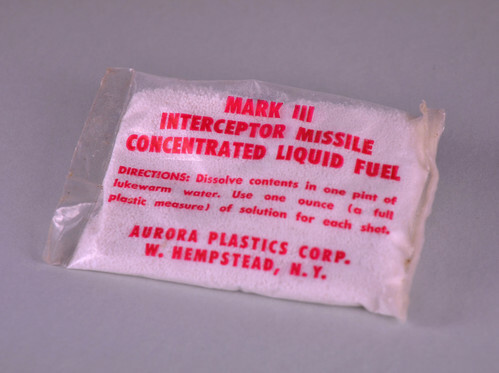 These are old stock from Aurora, probably from the 1960's. These are still sealed." 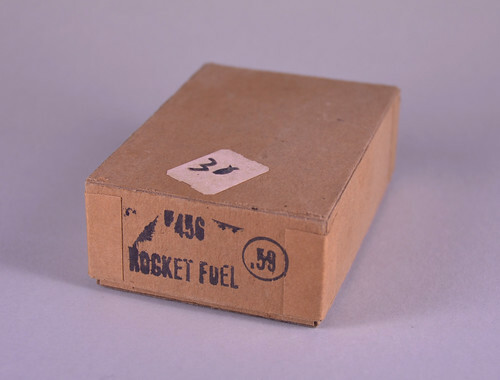 Further investigation placed these at 1959 and from the discussion on Ye Olde Rocket Forum, the Powder is Alum and the Pellets are Sodium Bicarbonate.